featuring my main b***h Lola . . .
my guard dog takes her job ferociously. Lola snoozes lightly on her starting blocks. Lola launches forth to earn her sainthood. bloody grin licks within her feathery cloud. glad my loud beast clogs with feathers and down. True story, yesterday. Had to tear apart vacuum hose to clear! Reminds me of my bestie's cat. He stalks in from next door. I lost almost all of the blue jays I feed. Had to have a sit down with him and explain that "auntie" thinks of the birdies as friends and not food :) I thanked him very much for "protecting" my sanctuary but I was good on security and the rule was we dont "kill" in auntie's yard. He apparently took it to heart because although he leaves kills for his mother quite often, he doesnt leave feathers in my yard anymore. Thank you for posting this lovely piece but train of thought was interupted by the ads that intersperced. Will re read blocking these interuptions and try to maintain flow! We love our pets and are saddened but fully understand their playful 'games'. In their innocence they come to you with their 'catch' thinking they have earned their reward! I can see your 'Lola' in my daughter's Lola! She is a little darling and so clever. The grand children just adore her! I have such a dog. He has wiped out possum families and villages of squirrels. However, send a two legged stranger around and he will corner said stanger for much love and attention. ..and yes never vacuum the feathers. lol I have such a dog. He has wiped out possum families and villages of squirrels. However, send a two legged stranger around and he will corner said stanger for much love and attention. ..and yes never vacuum the feathers. looking at the title I was hoping it wasn’t tar and feathers and you didn’t disappoint however it was sad none the less. Nice writing though! would Lola be referred to as a bird dog? Your last line too cute, This is really good. I like the way your poems flow. Your last line too cute, This is really good. I like the way your poems flow. Awesome writing here. my dog hides in the bathtub, I am kinda mean when it does that just to be funny I go in there and tu.. read moremy dog hides in the bathtub, I am kinda mean when it does that just to be funny I go in there and turn on the water...LOL he jumps out and hides in my closet if it's open. That was just a gift to shoe it cares. LOL... quite a fun and clever read. 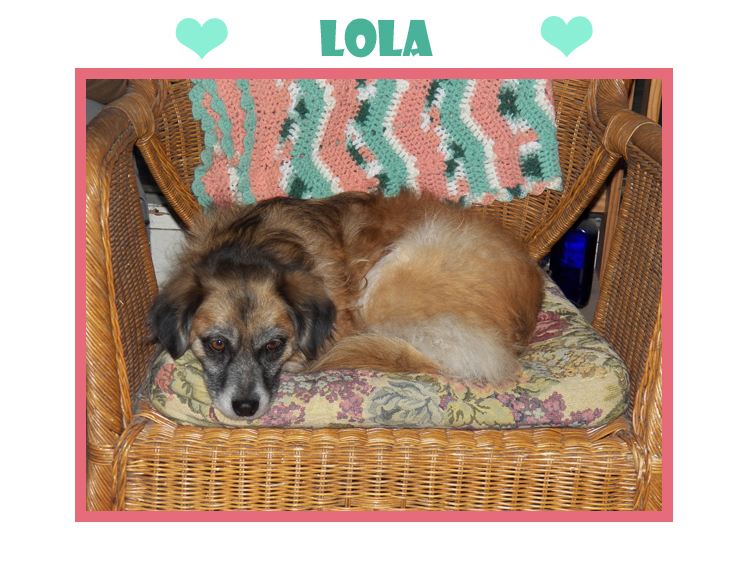 I love Lola’s picture- what a beautiful face and coloring she has- and her eyes are truly soulful... read moreI love Lola’s picture- what a beautiful face and coloring she has- and her eyes are truly soulful. Gorgeous! as I do not have that thick fur if Snowflake Cat abd Elisa Clover Doolittle Cat in my Sun Porch.